Autor: Gilman, L.M. 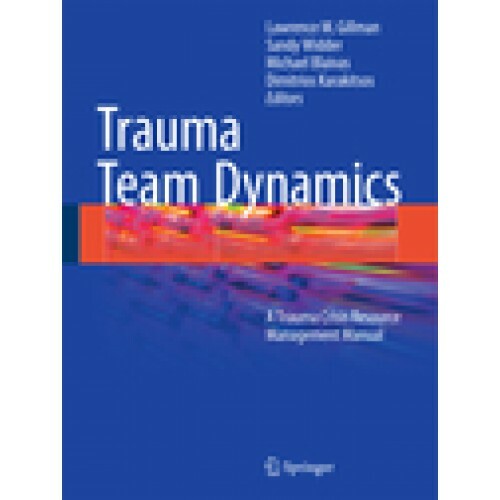 ; Widder, S.; Blaivas, M.; Karakitsos, D.
This is the first book exploring the unique dynamics created by a multidisciplinary trauma team and how crisis management strategies can improve teamwork and communication and, potentially, improve patient resuscitation outcomes. Crisis resource management (CRM) is integral to the way that we manage ourselves, team members, and patients during emergency situations. It is essentially the ability to translate knowledge of what needs to be done into effective actions during a crisis situation. Building on the revolutionary American College of Surgeons Advanced Trauma Life Support (ATLS®) course, Trauma Team Dynamics illustrates the integration of the principles of CRM to team dynamics throughout the resuscitation –from the scene, through pre-hospital care and transport, to the trauma bay, and finally to definitive care and beyond. The editors and contributors are international experts in trauma, critical care, emergency medicine, nursing, respiratory therapy, and pre-hospital care and include NASA- and United States military-affiliated experts. 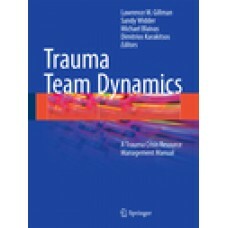 Trauma Team Dynamics is intended for use as both a day-to-day clinical resource and a reference text, and includes self-assessment questions as well as guidance on CRM curriculum design and implementation.